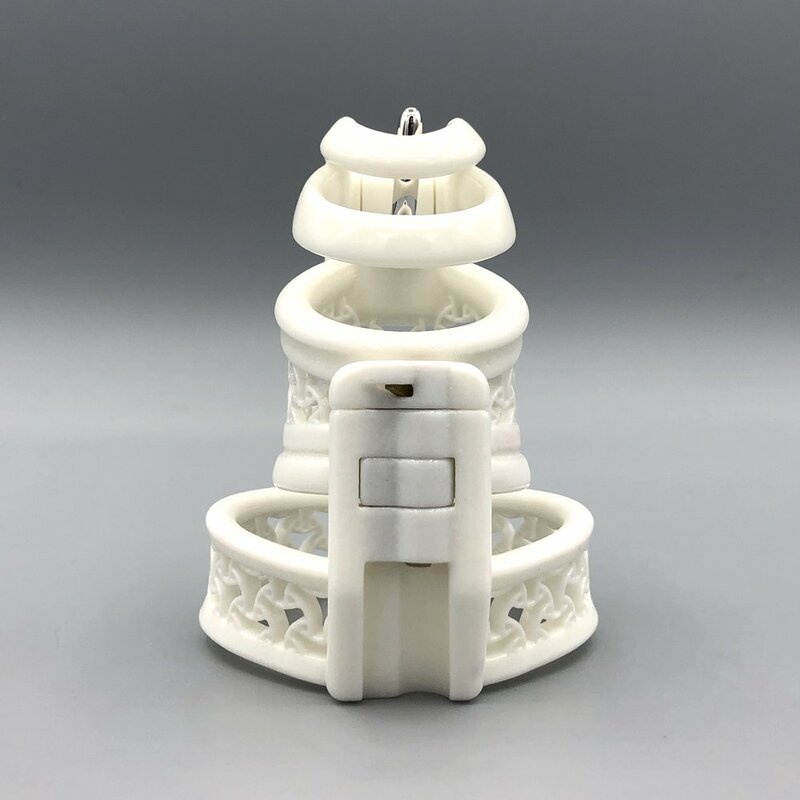 chastity, cage, cages, device, 3D, printed, "3D Printed", bespoke, custom, "chastity cage", "chastity devices", "custom sizes", Evotion, plastic, lifestyle, "forced chastity", "airport safe", "100% plastic" Chastity cage cages device devices 3D printed printing custom bespoke couture chastity plastic nylon Prince Albert Frenum piercing PA "3D printed" "3D printed chastity" "custom chastity"
We make the world's most advanced devices for enforcing male chastity. At Evotion we design and manufacture every cage individually, based on each customer's measurements. We take advantage of cutting edge 3D printing technology to produce one-of-a-kind devices. We have designed a range of products to meet everyone's needs. Whether you need to endure prolonged periods of lock-up, pass through security, work out, or simply have difficult-to-fit anatomy, we've got you covered. Unusual piercings? No problem! One or enlarged testicles? We got you. Unusual personality? Well, us too. 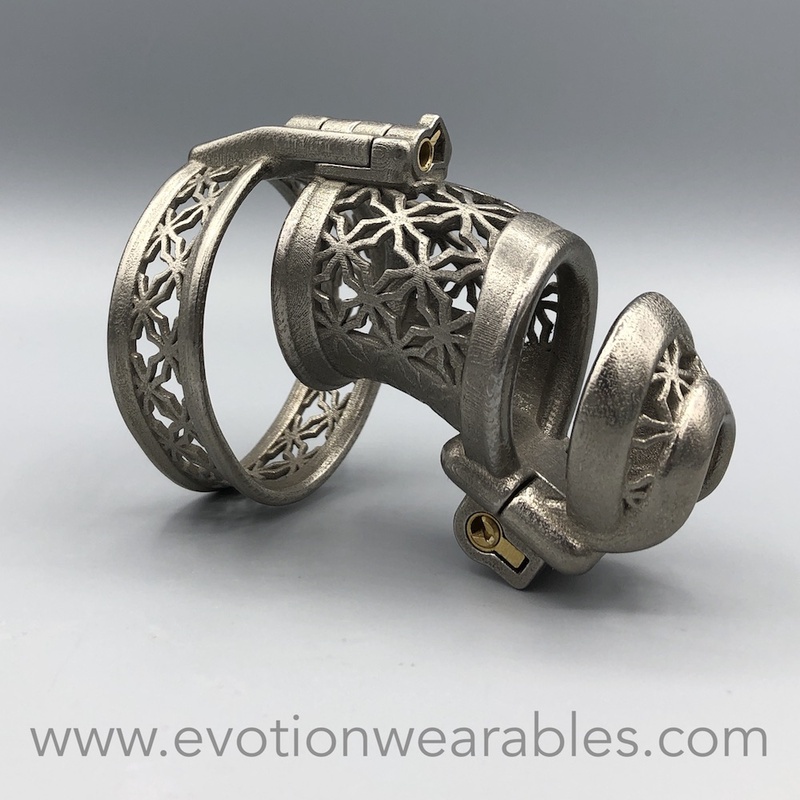 In spite of being 3D printed, Evotion Wearables products are largely hand-made devices. The techniques are new, but there is time and craft involved at every stage of the process. We make only structurally strong and durable products. When you purchase with us, you are starting a dialog; there is no "standard" cage that we can fire off. We will discuss your needs and assist you in taking the necessary measurements before designing your cage. Furthermore, your cage will be kept on file so that you can always order additional straps for different locks, or make changes to its design in the future. Please don't hesitate to contact us. Disclaimer: Evotion Wearables makes no warranty, expressed or implied, as to the safety or efficacy of any of its products. All of Evotion Wearables’ products are sold as toys for adult entertainment only and are to be enjoyed at the wearer's own risk. Evotion Wearables accepts no responsibility for injuries or any other damages sustained while using its products. The user assumes all risk and liability associated with their use.